Cold Duck Time is a rock-influenced jazz standard written by Eddie Harris. It first appeared on the album Swiss Movement by Les McCann and Eddie Harris. The first recording of this tune wasn’t well-rehearsed, and you can definitely hear that the band is learning this tune while on stage. Swiss Movement is a live album that was recorded at the Montreux Jazz Festival in 1969. It’s a very influential album by some killin’ cats, even if it the breaks are a little bit loose on Cold Duck Time. The original recording is on youtube, but embedding isn’t enabled, so I couldn’t put it up. You can search for it if you want to hear it. 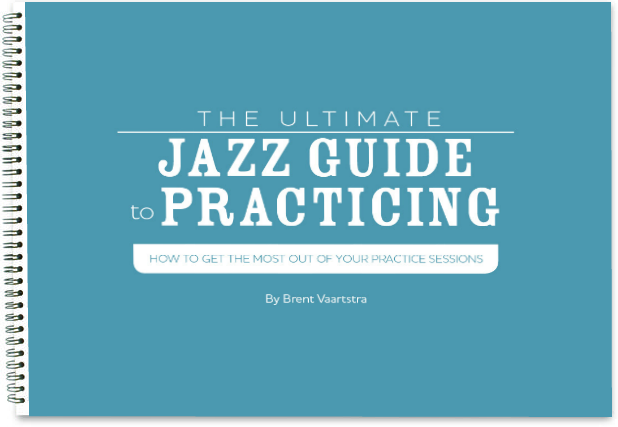 This tune is a great introduction to jazz for many students because it’s a lot of fun to play. Because of the straight eighth note feel and the strong back beat, even students who don’t listen much to jazz will appreciate this tune. It makes a nice closer or set break tune. Larry Carlton at Blue Note Jazz Club in New York City - "Cold Duck Time"
I love this tune but am particularly enamored with the Alan Baylock treatment of the material. The intro and B section that he added to the song make it next level in my humble opinion.